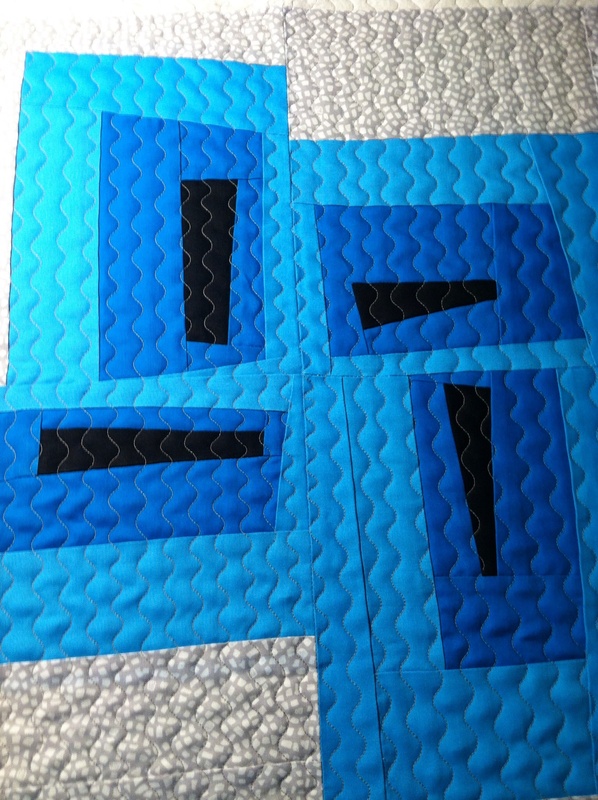 I decided to quilt my wonky pillow using the #4 stitch on my Bernina. It was easy and fun. 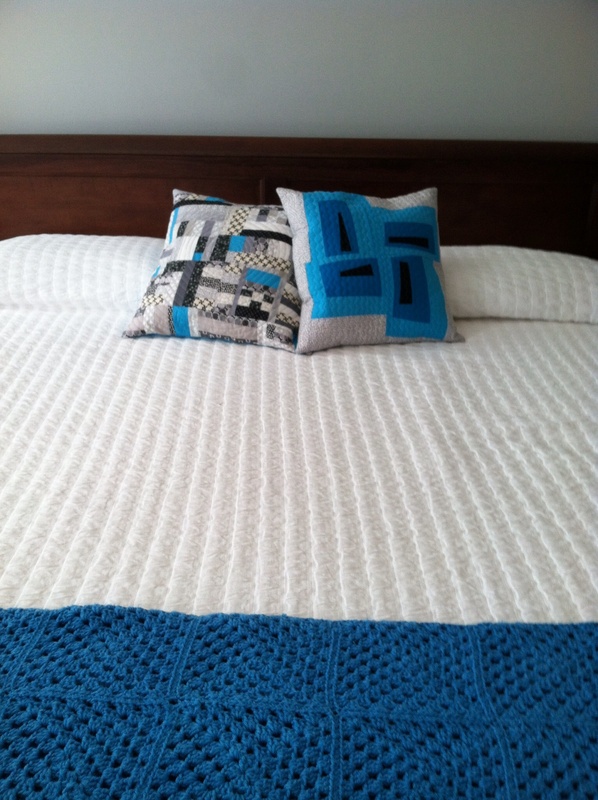 Now, my bed looks a little better. 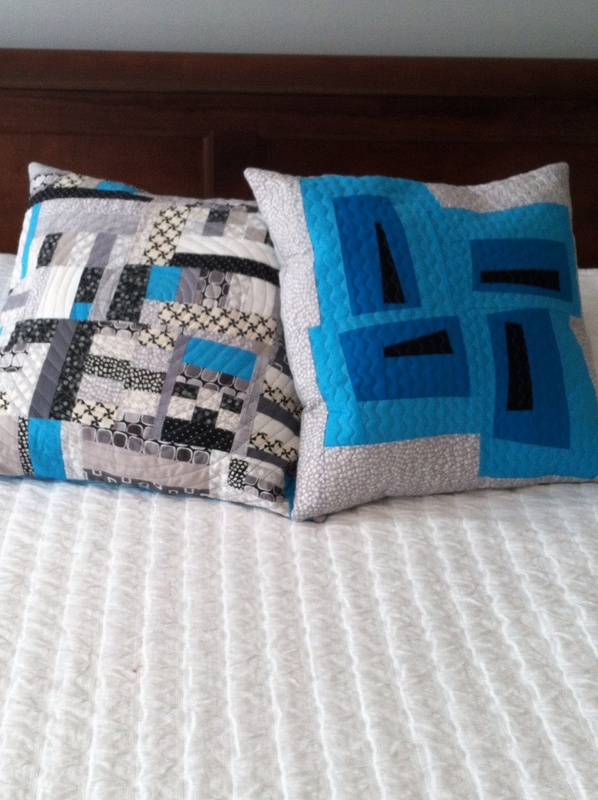 This entry was posted in Uncategorized and tagged Modern Quilting, Wonky Log Cabin. Bookmark the permalink.